Retirement UK is a popular option with many American retirees. While some senior citizens opt to retire in Central America or Asia, retiring in the UK is a lot easier in many ways. The language is the same, the culture is similar in many aspects to that of the United States and obtaining high quality medical care is affordable and simple. The visa needed for this is known as the Independent Means visa. Someone that wants to obtain this visa would need to be at least 60 years old. He or she would need to show a retirement income of at least Â£25,000 (US$40,000) per year. A person that receives an Independent Means visa will not be allowed to work in the UK. All of his or her income will need to come through pensions, investments or other reliable sources. The applicant will also be required to show that he or she has a close connection to the UK. Having a close relative living in the UK, having lived in the UK previously, having business connection in the UK or a strong sense of identity with the country are all acceptable means of proving a close connection. However, this particular requirement is not rigidly defined. 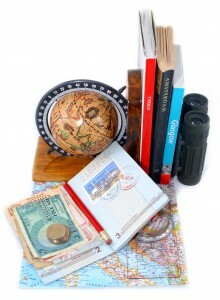 It can take up to several months for a retirement UK visa to be processed. An Independent Means visa is then issued for four years. Once this visa has expired, the retiree can apply to stay in the UK indefinitely. As long as the applicant can show that he or she has the requisite income, it is not difficult to obtain permission to stay in the UK. The cost of living depends on a number of factors. London is the most expensive place to live; other cities in the UK are a lot more affordable. A person who wishes to retire in London will find that South London is more affordable than other parts of this city. While food, clothes and household items are not cheap, you can often find very good deals at Charity shops. The UK also has a very good public transportation system. This is a blessing for senior citizens who may not be able to obtain a driverâ€™s license. Taxes are a sticky subject. The IRS has shown itself to be very intent on taxing US citizens no matter where they live. A US citizen will still need to pay taxes on his or her US pension even if he or she opts for retirement UK. If the person buys a house in the UK, then he or she may need to also pay UK property taxes in the UK. There are many variables that come into play regarding what taxes need to be paid and where they need to be paid if you choose retirement UK. 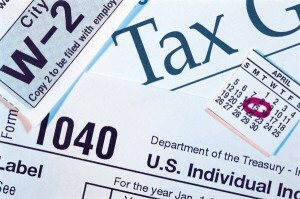 While it’s true that a US citizen is required to pay taxes no matter where he or she lives, the amount of taxes that needs to be paid depends on what type of pension the person has, whether he or she is married or single, whether the person has income from other sources or not and many other factors.Â The UK may also require a retiree to pay UK taxes; again, this depends on a myriad of factors. It is usually best to phone or email the IRS and the HMRC (the UKâ€™s tax office) for specific advice. A person who wants retirement UK should carefully consider his or her options. Whether retiring in England is more affordable than retirement US, would depend on a personâ€™s situation, pension, marital status, place of residence and other factors. The UK does have a lot to offer retirees, however, and retiring here can be a good option for those who can fulfill the requirements.